Rolex is likely the most well-known name in the entire world when it comes to luxury watches. They are indeed an esteemed manufacturer of fine watches and are famous for producing iconic timepieces. But what many people don’t know is that acquiring a pre-owned Rolex doesn’t necessarily mean draining your life savings. The best way to get a hold of the Rolex of your dreams is to assess the price. Determine your budget, then go after the Rolex you can afford. Here is a short guide that may be of some help if you are in the market for a used Rolex. The Datejust is one of the most iconic Rolex models. The Datejust hit the world market in 1945 and has been a staple for Rolex collectors ever since. If you are a new collector or have never owned a Rolex before, the Datejust offers a classic Rolex look that is very appealing. And even more importantly, the Datejust offers reliability you expect in a Rolex. When considering a starting point for your Rolex collection, the Datejust is a perfect choice. In addition, the Datejust is a Rolex perfect for everyday use. With this price range, you can afford a Rolex that boasts something more distinctive. One good choice would be a vintage GMT Master. In the early 1920’s and 1930’s, radium was used to create a luminous dial. The Milgauss is another watch that you might want to own. These were utilitarian timepieces that were highly antimagnetic, perfect for engineers. They didn’t sell very well when introduced in the 1980’s but have since become very popular and very collectible. One of the selling points is that the Milgauss is modern in size, coming in at 37 millimeters. 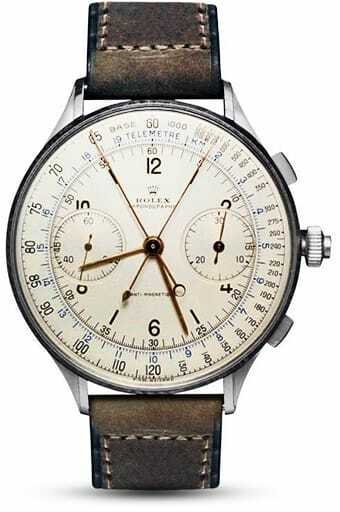 In this price range, you can acquire a Rolex watch made over 50 years ago. You can be the proud owner of a vintage Rolex Antimagnetic Chronograph. This watch features a very nice 18 Karat gold case and Rolex detail that has not been seen since the 1950s. Regardless which Rolex watch you choose, you will wind up with a beautiful timepiece from a trusted manufacturer.